Located at the former site of Wilson’s Barbecue, the Fairfield favorite of a dozen years, Tequila Revolucion features authentic Mexican/Central American fare in a vibrant atmosphere. 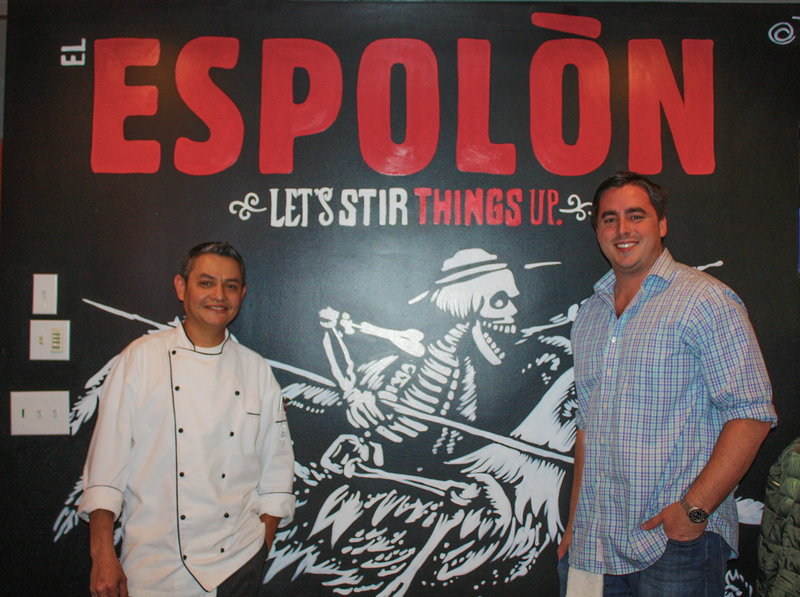 The brainchild of Ryan Gillespie as general manager and Mauricio Guevara, head chef who worked together at New Canaan’s Tequila Mockingbird, Tequila Revolucion is the co-owners’ first independent restaurant venture. Gillespie was a manager at the New Canaan eatery and Guevara worked his way up to head chef from a dishwasher. At the pair’s new venture the focus is on seasonal food and, says Gillespie, they look forward to the growing season when they hope to source as much local food as possible. Since freshness is a hallmark of the Tequila Revolucion approach, very few items on the menu come pre-made, canned or frozen, down to the handmade tortilla chips, salsas, beans, and sauces. Serving generous portions and an extensive kids' menu, Chef Guevara is focused on providing a culinary experience that is true to the flavor and spirit of the cuisines of Mexico and Central America. A variety of appetizer and entrée specials will be offered daily and, says Gillespie, the kitchen staff is eager to accommodate special requests or requests to share or have smaller portions, with accommodating pricing. “We’re happy to make any of our dishes vegetarian or gluten free as well—the goal is to make sure everyone can have the opportunity to try our food,” says Gillespie who also points out that educating eaters’ palate about authentic central American food styling is an important aspect of the restaurant’s mission that even translates down to the drinks menu. The Tequila Revolucion margarita, for example, is not a frozen concoction and is more on the sour side thanks to fresh squeezed lime juice. In addition to over thirty tequilas and mezcals, there is a nice compilation of cocktails, as well as Central American beer and local beer and cider. Among the dishes we tried were The Perfect Nacho, so called because of the chef’s re-imagining the dish to have the right amount of beans, cheese and meat with each bite. The Jerk Chicken Nacho is a smoky, spicy riff on the original and the green roasted tomatillo salsa is an excellent condiment either for the Perfect Nacho, plain nachos or your entrée. Beef dishes are a standout at Tequila Revolucion and we tried both the Carne Asado Estila Sonora which is marinated in lime juice, oregano, garlic an chipotle, served with the excellent house made guacamole, black beans and rice as well as the Arrachera, charcoal grilled skirt steak served with black beans. 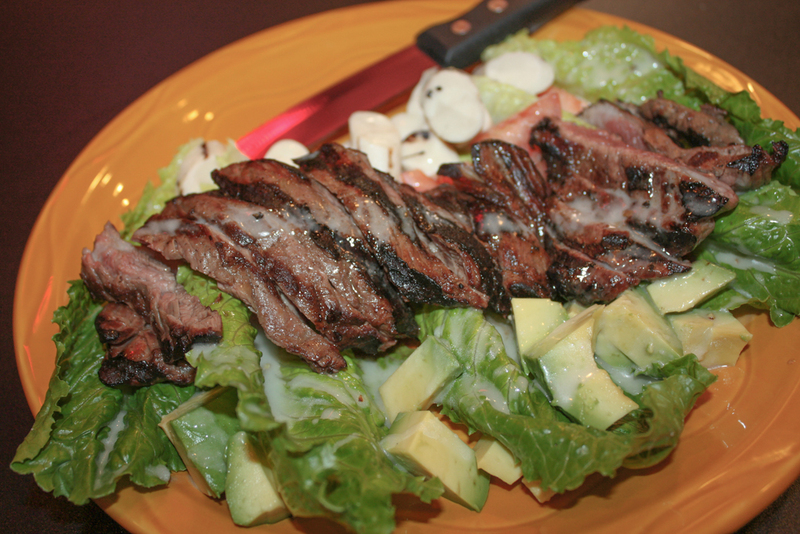 In both dishes the meat was tender, succulent and well flavored, complimented by the fresh sides. For seafood lovers, the garlicky Shrimp Mojo De Ajo is tangy with fresh lime juice, and served with corn and fresh tomatoes, rice and salad. 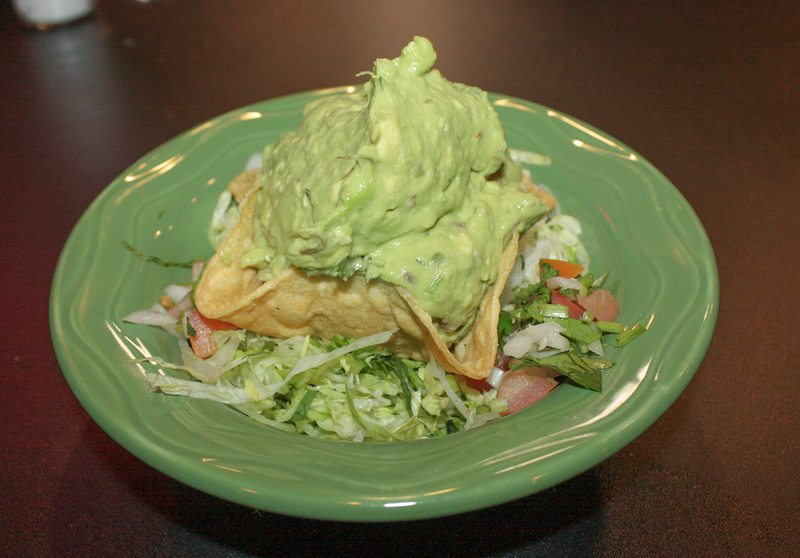 Tequila Revolucion also offers a full array of traditional street-food style tacos as well as Mexican-cuisine favorites like burritos, fajitas, flautas, chimichangas and quesadillas. Long term plans include opening the commodious patio for outdoor seating and, possibly, music. As part of its community-minded endeavors the restaurant offers a 15% discount for patrons who are first responders as well as those in the military. Lunch service will hopefully happen in the near future but for now Tequila Revolucion will be open Monday through Thursday 4pm to 10pm; Friday, Saturday 4pm to 11pm.